Travelling is an adventure, offering new experiences around every corner. However, if you’re at the stage where you’ve ‘been there, done that’ and you’re looking for a hotel booking that’s a bit different, check out these hotels for an out-of-this-world experience. If you have a passion for cars, check out the V8 Hotel in Germany. 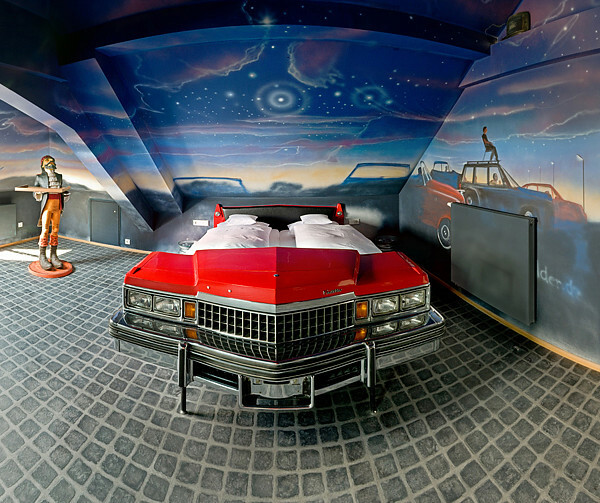 With 34 car-themed rooms, you can stay in a bed made out of a Mercedes, Morris Minor or Volkswagen, or in a room that looks like a mechanic’s workshop, a petrol station or a car wash. The hotel is also handy for those who want to take a tour of nearby Porsche and Mercedes Benz factories. If you have ever wondered what it would be like to live underwater, you can find out at the Poseidon Undersea Resort. Take the elevator 40 feet underwater, stay in a luxury suite with fish swimming past the windows, visit the underwater theater and library, or take a trip on the 1000-foot submarine around the lagoons. For accommodation more on the basic side, guests can test their mettle at Karosta Prison. 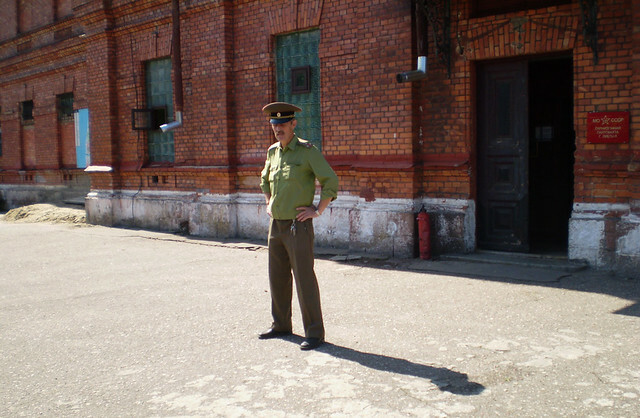 This former KGB prison was used between 1900 and 1997 to break the will of revolutionaries, deserters, enemies of the state and other rebels. Daring guests can enjoy a night as a prisoner – complete with prison bunks and prison meals – and have the chance to meet the resident ghosts. 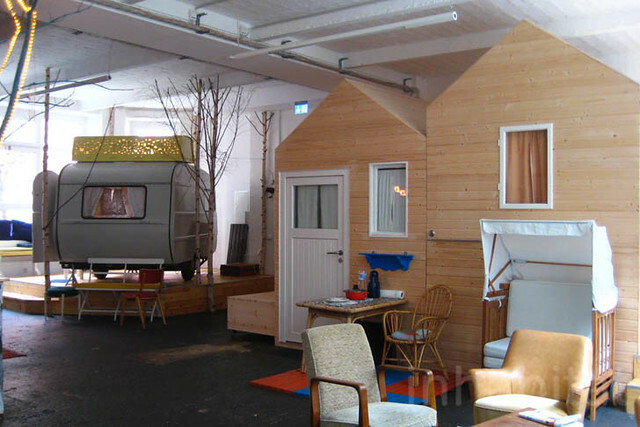 For those who like the outdoors but prefer staying indoors, try a night at Hüttenpalast. Guests can sleep in a retro caravan or cabin surrounded by potted trees and picnic tables – inside a former vacuum-cleaner factory. Perfect camping conditions whatever the weather! 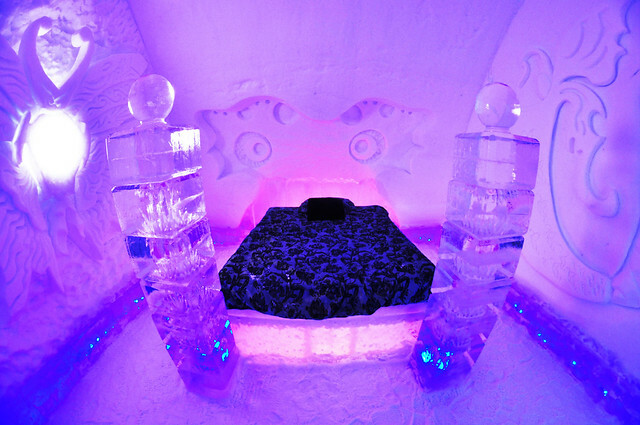 If you don’t mind the cold, however, Hotel de Glace could be an excellent option. The only ice hotel in North America, this hotel has 44 rooms and theme suites, allowing guests to chill out amid stunning surroundings. The hotel includes a Nordic relaxation area with outdoor spas and saunas, and offers guests a one-of-a-kind experience. The UK’s first overnight safari lodge, the Livingstone Lodge at Port Lympne Wild Animal Park, gives guests an African safari experience an hour south of London. Guests can stay in safari tents and enjoy African fine dining while overlooking fields of wildebeest. The reserve is home to an array of African animals, including the largest breeding herd of black rhinos outside Africa. Animal lovers of a different kind can enjoy a stay at Husky-Lodge – home to a pack of loveable Siberian huskies. Guests sleep in wood fire-heated wooden cabins next to the dogs’ kennels, and can join in training runs around nearby forests and mountain trails, pulled on sledges in winter, and carts in summer. 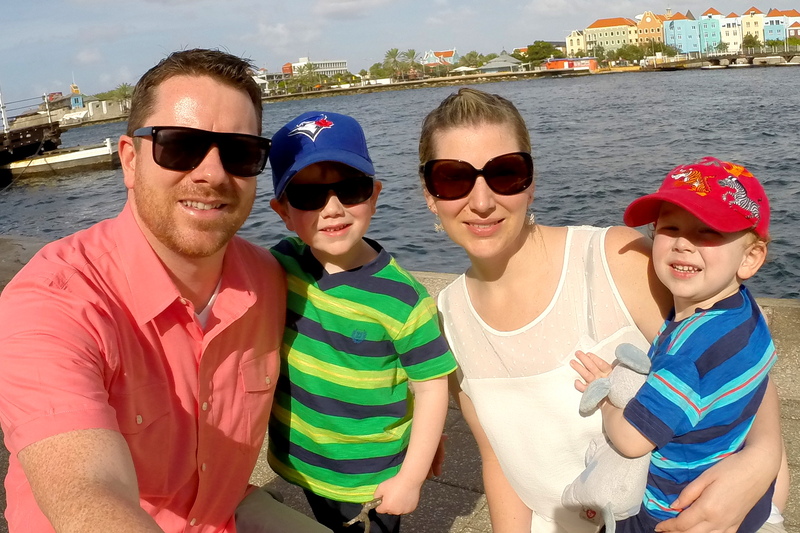 Author bio: Jesse Hughes is a professional writer & travel blogger. For the past few years he has been traveling to the worlds most exotic locations & blogging about his findings. He is currently writing from Australia and will be moving to New Zealand next. Photo credits: click on the image to find the source on Flickr. Images were under Creative Commons license at the time this post was published.